I’m always being asked which primers I recommend, and often don’t know where to start! There really is a ridiculous amount of them hitting the market every week, each promising more tricks and transformations than the next. Primers used to be thought of as an annoying – and time consuming – added step to most women’s daily make up routine, and one usually just reserved for the high maintenance and beauty professionals. My how things have changed! We know now that they are pretty much an essential and a must have tool, making a polished makeup application faster and extending a product’s life my hours more than it would have hung around otherwise. The Mecca Cosmetica brand is constantly releasing new products, and in their collection of beauty must haves are a selection of awesome primers. 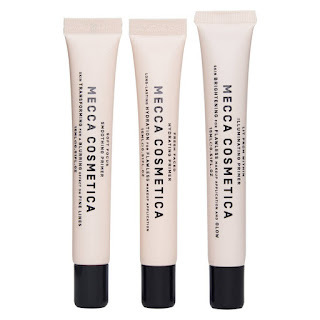 One way to have a play with what’s on offer that won’t break the bank is an investment in their Mecca Cosmetica Primer Wardrobe, which includes 15ml tubes of their most popular formulas. This one is oil free and suited to all skin types, and is the perfect primer if your skin is feeling a little parched (post travel, for example). It ensures skin is left hydrated both instantly and over time, which means makeup lasts longer and looks better to boot. The primer is formulated with Hydroviton, a moisturising super-ingredient based on Hyaluronic Acid which works naturally to increase the skin’s own capacity to retain water. Magic. Mecca Cosmetica calls this “beauty sleep in a bottle”, and it is designed to brighten and revive fatigued skin before foundation application. With ultra-fine light diffusing particles and antioxidant protection, it is my go-to for the morning after a late/sleepless night, and it has garnered me more than my fair share of compliments about my skin when I really didn’t deserve them! This one is a winner in the getting-rid-of-fine-lines stakes, not only improving the application and staying power of your foundation but also smoothing and nourishing the skin. The appearance of any fine lines or visible pores is magically blurred, whilst antioxidant vitamin Coenzyme Q10 protects against free radicals and Hyaluronic acid keeps your skin happily hydrated. What’s not to love? 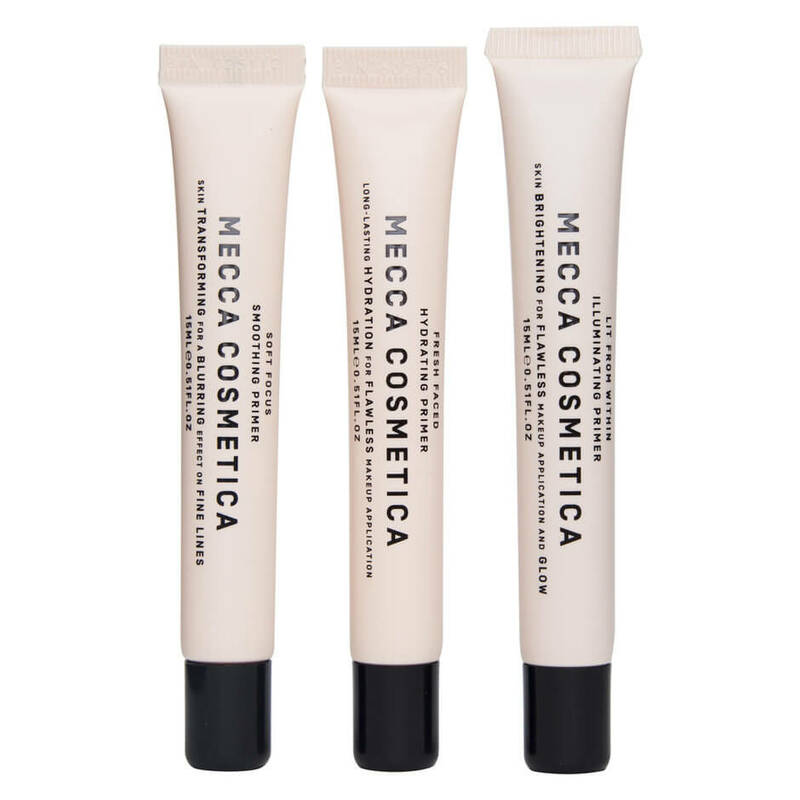 The Mecca Cosmetica Primer Wardrobe is in store now, RRP $53.00. Head here now. 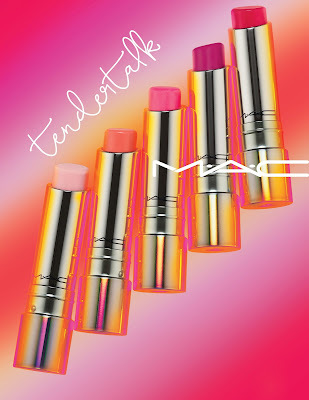 Landing next week is the M.A.C. Tender Talk Lip Balm collection, which is both practical and pretty damn cute. It is made up of a series of five "smart lip conditioners" that "create a personalised tint" based on your skin's chemistry. 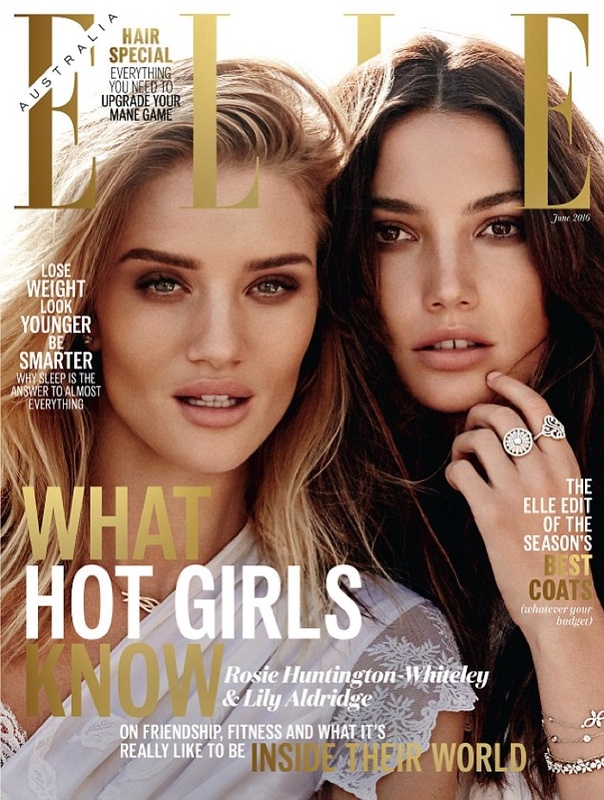 And who doesn’t love a personalised beauty experience? It is about as custom as it gets and is such a throwback moment for a nineties girl like me. Even the holographic packaging is just perfect, and I can tell that one will most definitely not be enough! As well as being awesomely cool as a concept, the smart lip conditioners are created using a formula that will nourish, hydrate, and condition your pout - and that's on top of its magical power to change its tint. 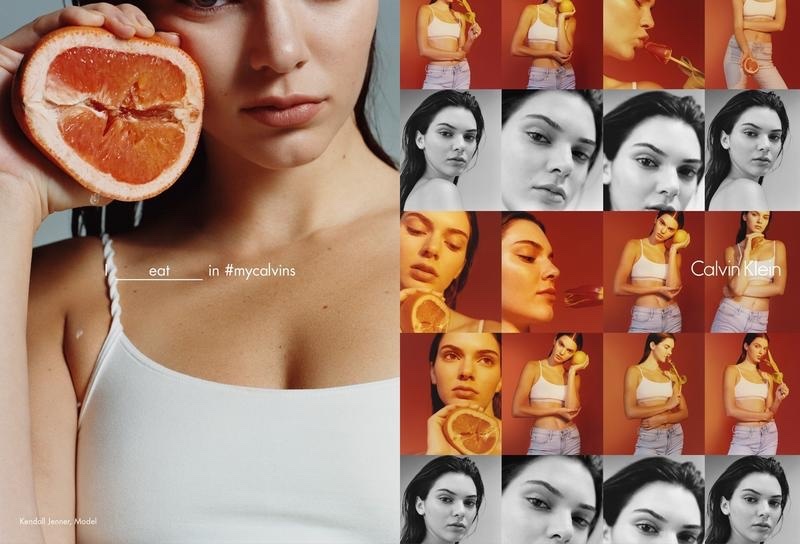 The collection follows the trend of colour-changing products that I have seen popping up left and right of late, but it serves a purpose too i.e. these babies are not just a pretty face! I have been trying mine on its own and on top of a lip filled in with lip pencil, and the hydration properties are next level. In other words: you NEED. They have an RRP of $48.00 and like I said, land next week. Too cute AND they work. Essential. I make no secret of the fact that I hate washing my thick, problematic hair – and I hate drying it even more so. I try and book in for a blow wave when my wallet allows, mainly because the professionals take care of it a hell of a lot better than I do – and I get to have some much needed quiet time to boot. I recently had the opportunity to take a trip to Auckland city salon Ryder for a blow wave from its clever, talented and affable owner, Greg Murrell. The occasion was the release of the Davines Your Hair Assistant collection into New Zealand salons, and I arrived more than ready for a right treat (and some killer products). Italian sustainable hair brand pioneer Davines and their artistic director Angelo Seminara (above) joined forces to introduce the aforementioned range of products, which are set to become a new hairdressing staple. Your Hair Assistant has reportedly been three years in the making, and sees Seminara taking on the role as the hairdresser’s ‘personal assistant’ by providing a step-by-step guide on how to perfect the blow-dry. The art of the blow dry has been dying since the arrival of more high tech hair tools, but I have to say I always prefer a round brush dry over mermaid waves any day – it last and it gives you the feeling of next level glamour that every woman I know wants! This range helps out the in salon master and the home stylist, with the best result possible top of mind. Each of the seven distinct products in the range has been specifically designed to work in synergy with the next. Comprised of a shampoo, two nourishing conditioners (depending on your hair type), a blow-dry primer (which Seminara singles out as the hero product), volume creator (and brush), definition mist and hairspray, the line is naturally sulphate and paraben free, wrapped in carbon neutral Zero Impact packaging and infused with top quality ingredients. In addition, the beautifully delicate fragrance - a bouquet of jasmine and mint from what I can tell - adds that extra little bit of a organic luxe synonymous with the Davines range. Beautiful to use, this hydrating and nourishing shampoo gently cleans the hair, removes styling residue and leaves the hair feeling soft and light, ready for the next step. And it foams like a DREAM. You apply it evenly by performing a gentle massage and then rinse. Repeat application if needed (I do due to dry shampoo build up, the natural result of hating washing one’s hair) before you apply the most suitable conditioner for your hair type. A fine texturising and mattifying powder, this is the product you never knew you needed. But you do, and ASAP. It creates volume while giving hair structure and consistency, and protecting the blow-dried hair from humidity. The formula is all natural, obtained from micronised coconut and bamboo powder reduced to tiny particles. It is used with the Volume Creator Brush, which was specifically designed for a precise and controlled application of the powder as it is cleverly released through the brush. Awesome. You apply it directly to the root area where you want to create volume and texture, and even on lengths and ends to add texture if you want a more on trend loook. A bodifying tonic with an anti-humidity effect for all hair types, this provides texture and protection against heat and humidity, enhancing the natural shine of the hair and reducing the blow-drying time. It is an essential support for creating the state-of-the-art blow-dry and it can be used with all hot tools and yep, it works. Brilliant. 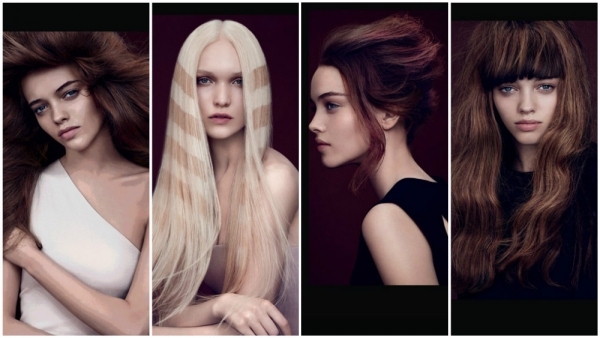 This collection is in salon now and ripe for the picking - book in for one of the looks created in conjunction with it below and go forth with beautiful hair. We all know that peels can give you visibly smoother, brighter, and more even skin tone, but many of us are a little hesitant to jump onto the professional level peel bandwagon and are looking for a pretty damn safe to use one at home. That works. 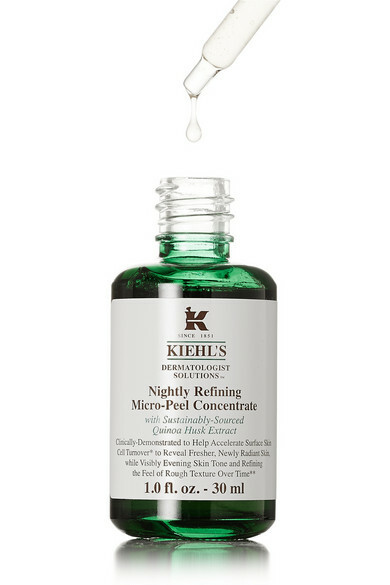 Thank the lord then, that as of this month Kiehl’s have added the Nightly Refining Micro-Peel Concentrate to their Dermatologist Solutions range, giving us reported overnight miracle results and no need for a filter. A nightly leave-on serum to accelerate the cell turnover process, it is all skin types friendly and aims to “elevate the concept of a traditional peel to professional grade results with zero irritation’. Pretty great, huh? Gentle enough to be used nightly, it is a potent medley of quinoa husk extract, fruit acids, cactus extract, and phytic acid, with the quinoa husk ingredient being of particular interest to me. Normally discarded as an inedible by-product in the food industry, Kiehl’s scientists one day discovered quinoa’s powerful skin-exfoliating properties after they happened to see discarded husks bubbling with activity. The quinoa used to create this baby is sustainably sourced from the protective outer shell of the quinoa seed without chemical alteration and with minimal environmental impact. Its powerful exfoliating properties work to help accelerate the skin's nighttime cell turnover process to release dull, surface skin. Offered very much as an alternative to a spendy in-office procedure, it gives good results but those results require consistent use. No sitting back waiting for a miracle after the first application. Keep it up for three weeks or more and it has been said by avid users that you will notice identical outcomes to those you might experience from a 20 per cent Glycolic Acid treatment. Pretty serious claim yes, but well worth a go if you are in the market for change. So how does it feel? Deliciously soft and beautiful to use, especially when you consider the work it’s doing. It’ almost a liquid-meets-gel formula I reckon, and just glides on. Pretty fast absorbing, it is used after cleansing and toning but before your serum, moisturiser, or oil of choice. So, what do you think? Definitely cheaper than an in-clinic peel, effective and gentle to boot – what is NOT to love about Kiehl’s Dermatologist Solutions Nightly Refining Micro-Peel Concentrate? Seriously. Word of caution: if you choose to indulge nightly, make sure to wear broad spectrum sunscreen (at least SPF 30) during the day since deep exfoliation makes your skin more susceptible to sunburn. This baby is in store now, RRP $109.00. I swear in my life I have tried about every single ‘hope in a jar’ out there, spending god knows how much on moisturisers, eye creams, serums and whatnot as I (fruitlessly for the most part) battle the creeping signs of ageing. 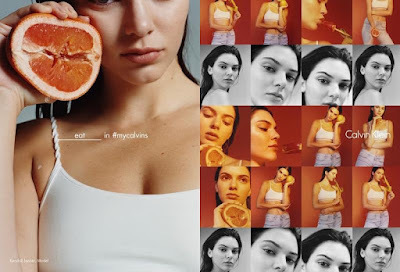 There’s certainly no way to escape them, but a little softening here and there is more than welcome, and if I can find a product that gives my skin that extra boost then bring it on. In the skincare world there is one thing that we know absolutely delivers the goods however, and that’s retinol. Some are so potent that can completely change your skin overnight, but not all are created equal. There are a lot of misconceptions about retinol too, with good reason. Also there is the fact that there are ‘Retin-A’ products, and ‘retinol’ products… and both are ‘retinoids’. It’s all vitamin A, but the first kind is pretty heavy duty (i.e. you need a prescription) and the second type you can buy over the counter. Unlike standard exfoliators, retinoids work at the cellular level to increase collagen, smooth-out annoying fine lines and even-out the tone, all of which are on my shopping list thank-you-very-much. 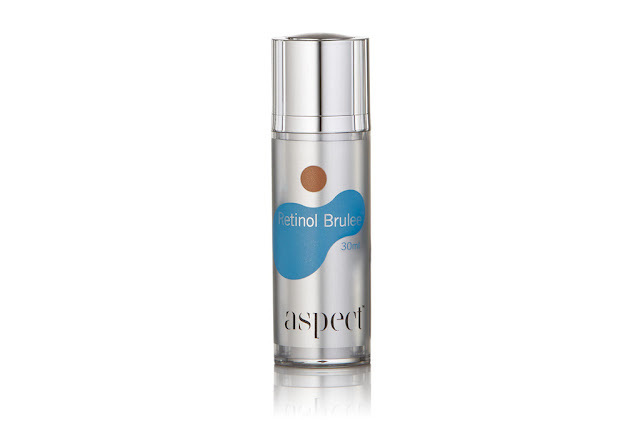 Often called “the perfect entry level retinol”, Aspect’s Retinol Brulee is one of the names that does do what it says, and is a great place to start. Unlike some of the more questionable so-called ‘Retinol’ products out there it promises to deliver the results you want day after day, week after week, month after month, and you get the long-term results accordingly. It is the first Australian developed cosmeceutical to take advantage of what is called “Tocoretinate” technology, a third generation non-irritating variety of "true" esterified Vitamin A acid that is guaranteed to maintain its potency and superior performance even under the most adverse of conditions. To further enhance the superior effectiveness of the aforementioned Tocoretinate, the clever clogs at Aspect have now literally turbocharged Retinol Brulee with the addition of Lanablue, a remarkable Blue algae extract that clinically mimics the topical cosmetic effects of pure retinol without any of the side effects. So what are these side effects exactly? The fact is, whilst topical retinol is amongst the most active cosmeceutical ingredients ever discovered; in very high concentrations, it certainly is not without some potential side effects such as dryness, flaking and mild irritation. This is where Lanablue steps in so Aspect can give you much faster visible smoothing results without the disadvantages associated with increasing the retinol content. Love that! To help overcome any additional minor disruptions for sensitive skin types, Retinol Brulee also has Canadian Willowherb in there, a powerful botanical that has been clinically proven to cosmetically strengthen the skin’s defences against external aggressors and keep things calm. Oh and for those that I have heard picking the Aspect range apart out there – you know who you are - Retinol Brulee is free of parabens, mineral oils, petrolatum, propylene glycol and artificial fragrances, so is joyously kind to even the most sensitive of skins. What do you reckon? Like any retinol you start using just the smallest amount of Retinol Brulee every third night, building up to alternate nights and then nightly use for optimum effect. From then on in you shall reap the benefits! I have worn matte lipstick for as long as I can remember; even when it was devastatingly uncool for the average beauty nerd I was still all over it like a rash. I just like the way it feels and love the way it looks, and call me a little too fond of the nineties - many do! 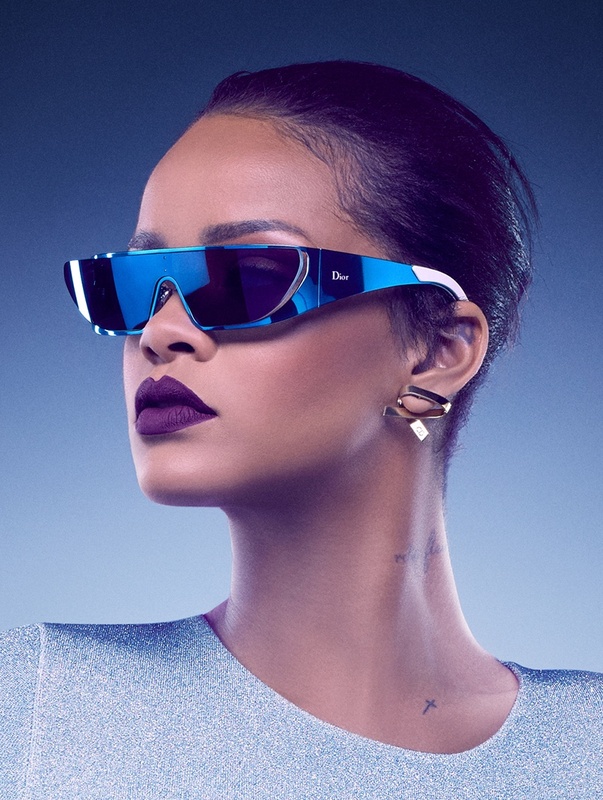 - but I have always been a flag flying fan of a seriously matte lip (see matte perfection on Mossy, above). I’ve been wearing one with pride since I first started slicking on lipstick (no gloss for me) and so when I heard about Smashbox’s new Insta-Matte Lipstick Transformer I was intrigued and just a little bit excited to boot. 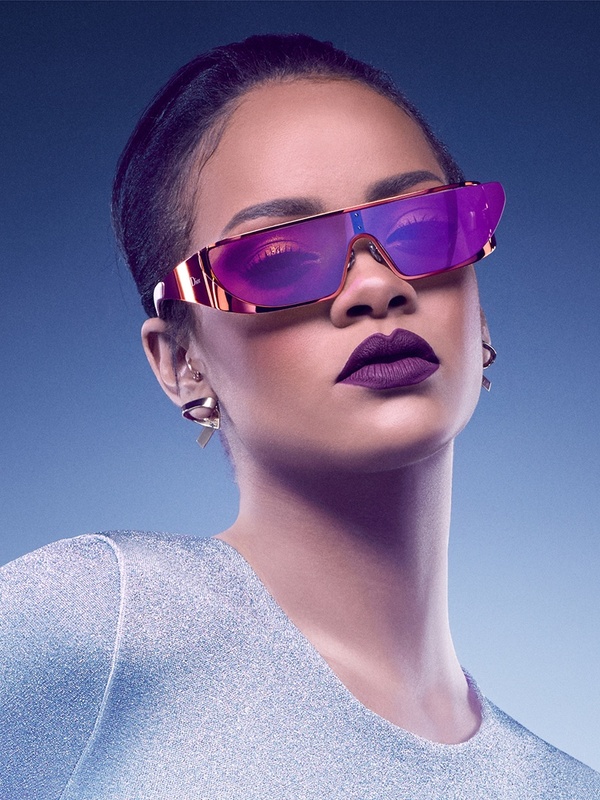 2015 was definitely the year of the Return of the Matte Lip as a trend, and its power and popularity just continue to grow. 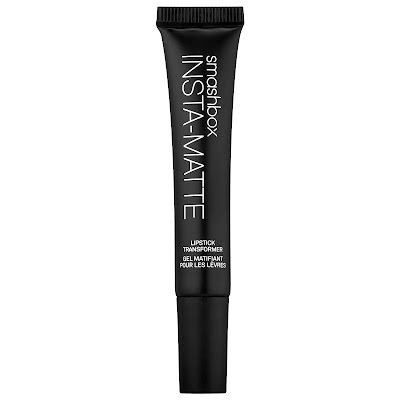 Smashbox’s Insta-Matte Lipstick Transformer vows to turn any formula you like matte, which at first had me perplexed. Would it? How could it? Seriously? However, if we can make our lipsticks shiny with a simple swipe of gloss why can't we make them matte as well, huh? And that, my friends, is exactly what Smashbox Insta-Matte Lipstick Transformer does. A silky feeling gel in a tube, it transforms any cream lipstick into a velvety matte finish that lasts and lasts. This means it also essentially doubles your lipstick wardrobe by transforming any of your fave shades into a velvet-smooth, matte finish that is never chalky, and the highly portable tube means you can mattify on the go, where and when you please. Magic! My only worry with this product was that it would feel too heavy/gluggy on my lips since I already had a lipstick on under it, but that simply wasn’t the case. It is incredibly comfortable and light as well as being easy to apply, and gets a major thumbs up from me on all fronts. 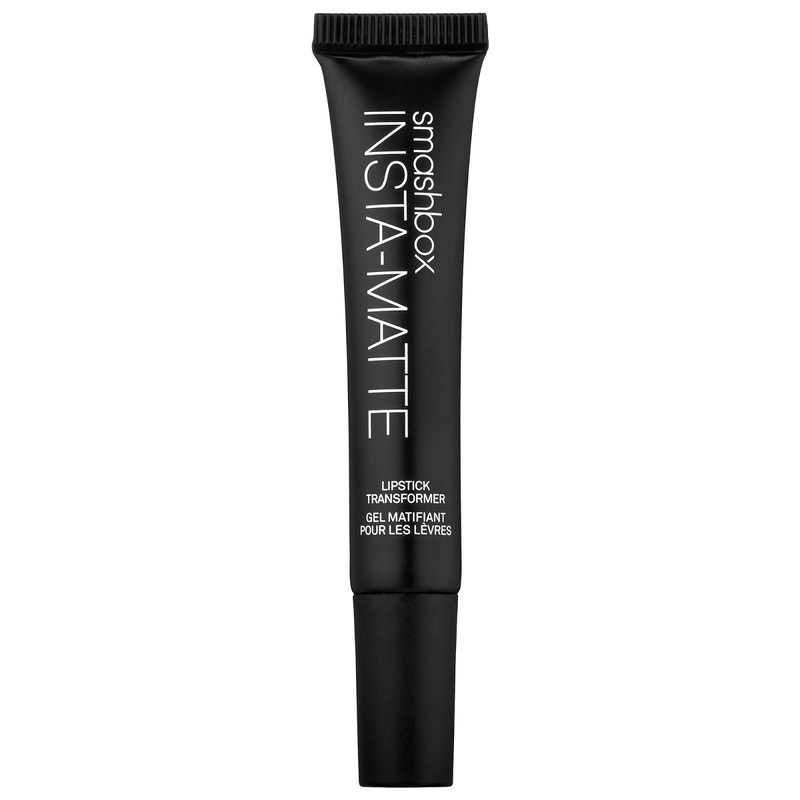 Smashbox Insta-Matte Lipstick Transformer is available right now in selected Life Pharmacies, beauty spas, at the Smashbox Concept Store in Ponsonby and at www.smashboxcosmetics.co.nz with an RRP of $48.00. However, the fact that this baby expands your lipstick wardrobe exponentially makes it quite honestly, priceless! They seemed to come out of nowhere and then there was an onslaught… I’m talking about the cushion. Cushion foundations, cushion blushes, and even eye shadows are ultra-popular in South Korea and have been for a few years now, and finally the Western world is catching up on the trend and with damn good reason. When used correctly they give you a near-flawless finish, and they are an absolute godsend for both travel and touch ups on the go. What’s not to love? Cushion foundation compacts basically contain a sponge soaked in foundation, and they are designed to create a smooth, uniform canvas that minimises shine factor and gives you that dewy finish we all want, with moisturising and protective benefits often thrown in to boot. Although I sometimes use brushes or a beauty blender to apply the foundation formulas from some brands, the compacts generally come with antibacterial sponges that are perfect for application and touch ups. 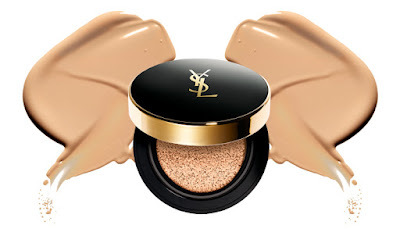 Any day now Yves Saint Laurent will be launching their owncushion foundation, Le Cushion Encre de Peau (AKA Fusion Ink Cushion Foundation) into the New Zealand market, and I have been lucky enough to have one to play with over the last few weeks’. This seems like the year when all the major brands are coming up with their own version of cushion foundation, and not all are created equal. 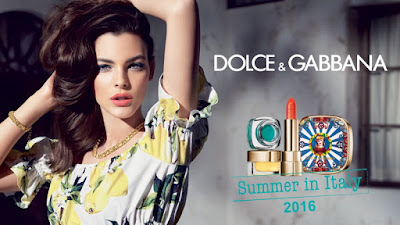 First it was Lancome, then L'Oreal, then MAC Cosmetics, Bobbi Brown, Estee Lauder… the list is endless. Now Yves Saint Laurent is joining the game with a formula that translates their famous Fusion Ink Foundation into a highly portable cushion compact, and it’s a winner. From the get-go the packaging is to die for, with the glossy lacquered black and gold so synonymous with YSL's glamorous aesthetic taking centre stage. Then there’s the foundation inside, which as aforementioned is a formula based on Fusion Ink Foundation, which was introduced back in 2014 as the most scientifically advanced make-up in the world. The special lipophilic active material - originally developed by NASA for trapping fine particles in outer space! - absorbs four times its weight in sebum to keep skin matte but with a super comfortable 24-hour wear. Amazing. The sponge applicator is ideal for blending and giving you a perfect, natural finish. 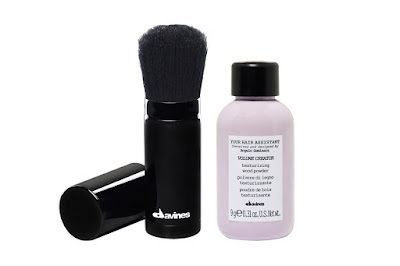 The applicator is soft, easy to work with and picks up enough product for one application, which is a rarity amongst cushion foundations of late. The formula reportedly contains the same acrylate copolymers that you find in many setting sprays and some long wear foundations, and it never looks powdery. To say I love it would be a vast understatement – call me obsessed! I nailed the application technique after a few attempts, but recommend that you ask one of the YSL counter staff to give you a quick 101 for a great finish first time. At $100.00 this beauty is definitely at the “splurge” end of the spectrum but by golly it’s worth it! On counter May 23, the Yves Saint Laurent Le Cushion Encre De Peau comes super highly recommended. I have looooooong been a huge fan – and multiple wearer – of NARS Pure Radiant Tinted Moisturizer, which I get at my local Mecca Cosmetica store and recommend to all I meet. It gives the most beautiful and thoroughly glow-y look to my gradually drying out skin, and never fails to elicit compliments. However, some have claimed that it can be a little too oily for those whose skin is that way inclined, and during super humid times of that year. It hasn’t stopped me using it one bit, but then NARS unleashed another option in the “your skin, but flawless” vein and I have fallen head over heels for that formula too. 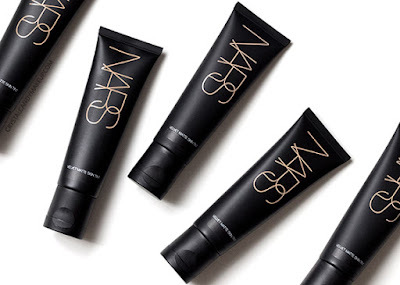 NARS describes their new(ish) Velvet Matte Skin Tint SPF 30 as “an oil-free skin tint to protect and perfect with medium, buildable coverage and a soft-matte finish” but by golly, it is that and a whole lot more. Available in New Zealand at Mecca Cosmetica, it has been a sell out worldwide and here too, with tubes of the little magic formula just flying off the shelf. It’s oil-free but also wears super comfortably, maintaining skin’s natural moisture barrier while working to control shine throughout the day. Silky smooth to the touch and surprisingly generous with the coverage, this “skin tint” is, indeed, just the type of velvety matte that NARS does so well. Applied after daily skincare, it has transparent blurring powders that help to blur imperfections, even the look of your skintone, and smooth the appearance of pores and fine lines. The powders’ unique, spherical shape compresses like a cushion, whilst Vitamins C and E protect against free-radical damage caused by environmental stress. I love the fact that it has excellent shine control and oil-absorbing properties, but it doesn’t leave skin looking chalky or flat—rather, the finish is soft-focus, blurring imperfections and evening out the rest, including dark spots, under eye circles, blemishes, and enlarged pores. If you’re oily by nature you will love the stuff, but it’s just as suitable for dry and normal skin types that don’t need much on the oil-control front. It doesn’t emphasise things like flakiness or unsightly dry spots, and when Allure magazine said “this product should be called Velvet Matte(ish), because it erases shine but doesn't leave you looking powdery or dried out like most matte foundations” they were most definitely telling the truth. For weekends I find that it is perfect on its own with no concealer necessary -I just layer the buildable tint where needed, add brows and a lip and I’m good to go. Magical! This beauty is available in store now in a wide range of shades and with an RRP of $78.00. Get thee to your nearest Mecca Cosmetica NOW. The original Hoola matte bronzer is a veritable beauty icon, and it arrived at a time when it was so difficult to find a good matte, neutral bronzer so it immediately stole my heart. After releasing the award winning, cult favourite 15 years ago, Benefit has now added some new products for face and body to the Hoola Bronzer Family: Benefit Dew the Hoola and Hoola Zero Tanlines, the latter of which I took to Hawaii recently when my skin was in damn good need of a little faux glow. An all over gel body bronzer with a custom sponge applicator for a hands-free, mess-free, matte-bronze finish, it was the perfect travel companion due to its low maintenance vibe. When applied correctly (it took me only about two attempts) it really is the most believable year round tan. Transfer-resistant and streak-free, it is a 12-hour “gel” formula that stays put even when the temperature is rising. It’s paraben, sulfate and phthalate free, and the hands free applicator means you don’t have to go into a wild panic to scrub your palms after application, or deal with accommodating a mitt. Blending is a total breeze, as is multiple applications. Love that! It is a super smooth, buildable bronze, making it a choice even for the fairer types out there who want to glow like Lily is SI, below. The finish is quite the beauty revelation and hides imperfections whilst leaving you with a flawless matte tan. It dries fast, is lightweight and doesn’t feel sticky at all, so it’s easy to build up layers evenly. You have to use a few layers of product if you have a medium skin-tone like me, but if it didn’t then it would be difficult for lighter skin tones to get a subtle effect so props to Benefit for not making it more pigmented. 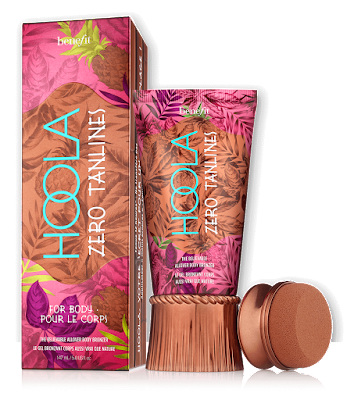 It’s true that the Hoola Zero Tanlines body bronzer looks like a self-tanner, but remember that it is definitely not the same. With self-tanners, you have to wait for leave the product on your skin and wash it off for a result that will last for a few days. With the Hoola Zero Tanlines, you immediately have a tanned result but it also comes of immediately after taking a shower. Last but not least, this bronzer has a gel-like consistency and does not contain any SPF or moisturising effects, so prep well and make sure that if you’re going out in the sun to lather on some sunscreen too. Benefit Hoola Zero Tanlines is in store now with an RRP $52.00 and comes super highly recommended. I love a two-for-one product, a clever little multtitasker even more so. I also love a gimmick and a timesaver, and one of the latest waves (pardon the pun) of products to be unleashed in the haircare world is most definitely in that category. So yes, the time has come to talk about co-washing and cleansing conditioners. Chances are you've probably heard of them at one point or another, as they've gained mass popularity internationally over the past couple of years but have yet to really break through in the local market. What started as a process mainly embraced by those with curly or textured hair is expanding to a wider range of strand types, and the first flood of goodies that I know of has just hit New Zealand. So what is a cleansing conditioner, exactly? Well, it's not a shampoo, but not yet a conditioner. Confused? Let me simplify matters for you… It's made for cleansing (obviously), just like shampoo, but without the harsh sulfates, detergents, or chemicals typically found in one. It's formulated in a way that leaves the hair and scalp feeling clean, but not stripped, and with an added moisturising element. Co-washing – or conditioning washing – is haircare using these delicate wonders, preventing colour fade and not stripping hair of its natural oils. Love that! The latest I have tried is R+Co’s Analog Cleansing Foam Conditioner, a marvellous wee multitasking formula that thoroughly cleans and hydrates hair without weighing it down, It’s made with argan oil, to nourish and soften hair, horsetail extract to strengthen and smooth, and antioxidant-rich green tea to protect strands and add shine. This gentle formula works with all hair types too - and is naturally ideal for coarse, dry, or colour-treated hair. I initially used R+Co’s Analog Cleansing Foam Conditioner for one week to give it a jolly good go, and the timesaving factor when you have hair like mine was insane. I was intrigued by the shape of the bottle and dispenser from the get go as it looked exactly like a can of mousse, not to mention the texture which was distinctly fluffy, also like mousse. And, it smelled delicious. Bring it on I thought, and proceeded to work a small amount into my wet hair massaging from roots to ends. Then rinse. Too easy! The first wash was quite the revelation. The formula went on so smoothly it almost felt like butter; I could feel my hair getting softer by the second. My hair is a complicated beast too, in that it is fine but in abundance with pretty oily roots. This means it tends to lay flat and lack volume, but my ends need a little love as I like to keep it long. When I find a product that moisturises but doesn’t weight things down I immediately fist pump the sky, and when it works as fast as this one I most definitely rejoice. I think it will be an absolute godsend for travel too as it’s basically all there in one can, making packing light and wash time abroad that much less of a big deal. Clinique constantly knock it out of the ballpark when it comes to cleansers, a skincare staple that so many people overlook. A great cleanser is the way to kick off the journey to great skin, and not all are created equal. The terms “allergy tested”, “fragrance free” and “dermatologist developed” are all a given when it comes to the beauty megabrand, and now they have added “extra gentle” to the mix for us sensitive types. It comes in the form of the new Extra Gentle Cleansing Foam, which I have fallen instantly in love with. 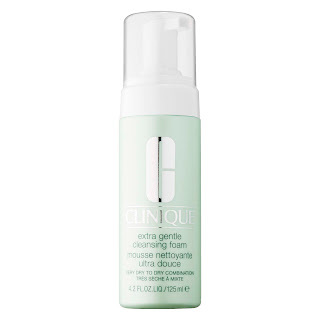 A super soft and velvety foam, despite its delicate nature Clinique Extra Gentle Cleansing Foam provides a thorough, yet gentle cleanse to remove dirt, external irritants and excess sebum from your skin. Think super clean skin without that squeaky feeling – just super hydrated, plump skin before the next step has even been taken. • A blend of Sodium Methyl Cocoyl Taurate and Lauramidopropyl Betaine and Sodium Lauryl Sulfoacetate: three “sulfate-free” mild detergents for sensitive skins. These detergents provide a rich yet light foam that thoroughly but gently cleans skin. • Sodium Coco PG-Dimonium Chloride Phosphate: a coconut-derived multi-functional phospholipid complex to boost the properties of gentle cleansing and mildness while leaving skin with excellent conditioning. This non-drying, non-stripping formula is perfect for sensitive skins. • Caffeine, Sucrose, and Gentiana Lutea (Gentian) Root Extract: these proven ingredients work synergistically to combat irritation. Caffeine and sucrose soothe and help to prevent dryness. • Salicylic Acid and Capryloyl Glycine: Skin dermo-protective purifying ingredients to combat excess sebum. • Glycerin, Algae Extract and Hyaluronic Acid: Glycerin acts as a humectant, attracting moisture to skin, thus preventing skin from feeling dry or tight. Glycerin, coupled with Algae Extract and Hyaluronic Acid combine to form a triple moisture complex to leave skin feeling perfectly comfortable with no tightness, dryness or parched skin. Amazing, yes? Also arriving alongside it any day now on counter is the brand’s new Extra Gentle Cleansing Brush Head, which is its perfect partner. This little baby sits pretty atop my Clinique Sonic System Purifying Cleansing Brush, which was designed to work in tandem with Clinique’s best-selling 3-Step cleanse/exfoliate/moisturise system. 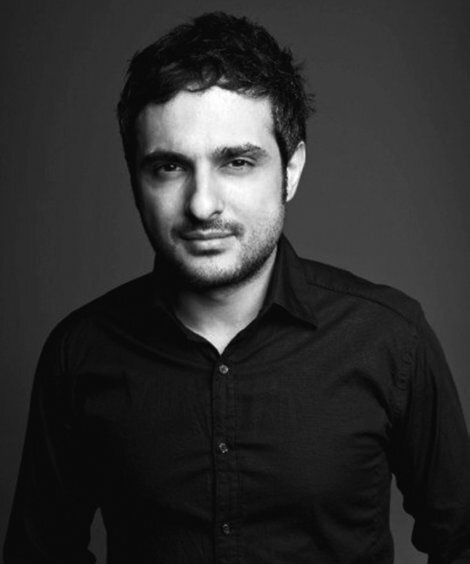 The brush was developed in partnership with dermatologists from the Orentreich Medical Group – which helped to develop the brand’s original 3-Step system – and a leading Swiss toothbrush manufacturer, well versed in the field of sonic technology. It’s an absolute beauty to use and if you haven’t tried one, I highly recommend that you do! The thin, fluffy bristles on the new Sonic System Extra Gentle Cleansing Brush Head deliver even better cleansing results than hand washing alone, but are still gentle enough for daily use by very dry, sensitive skins like mine. Each bristle is rounded at the tip to ensure the gentlest targeted cleaning, and there is no need to apply pressure – just let the brush gently glide over skin like gliding a computer mouse over a mouse pad. 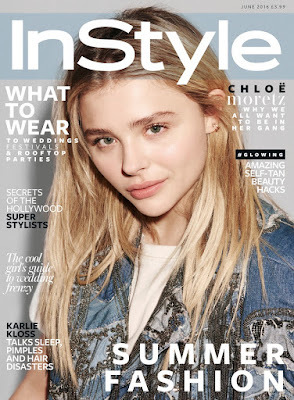 Matrix is proud to announce multi-award winning hairstylist - and super clever human being - Hayley Pullyn as the New Zealand creative director for the brand. 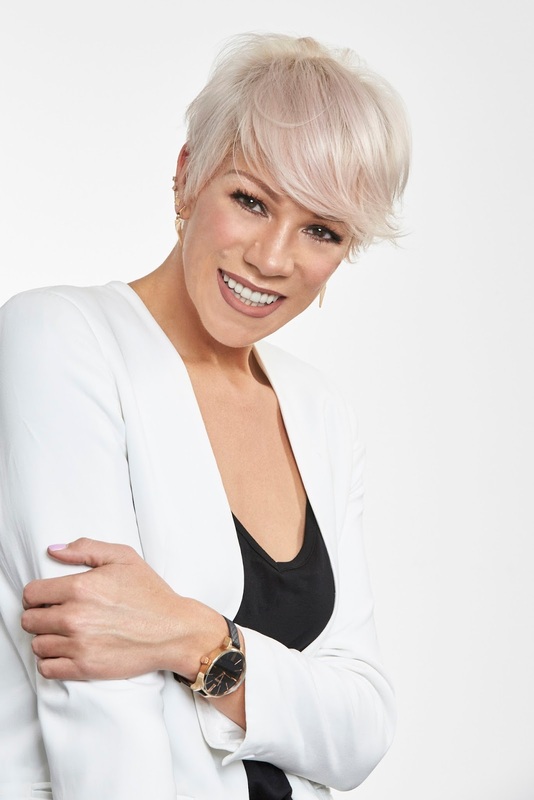 With 17 years of hair industry experience both in New Zealand and overseas, Hayley is not only a highly skilled stylist but also a wealth of knowledge on all things Matrix thanks to her time as Matrix Australia Education Manager. Although she identifies as an all-rounder in all areas of hair, colour has become a speciality for Pullyn during the past few years after winning L’Oréal Young Colorist of the year way back in 2004. Also a trained makeup artist, Pullyn says she draws her inspiration from the British and Australian hairdressing industries. 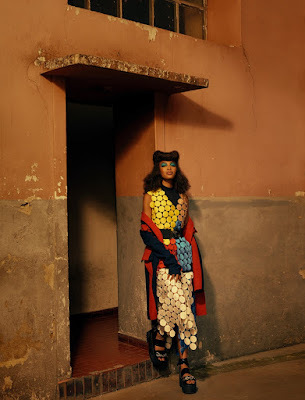 “I always keep my eye out on what is happening at their main industry award competitions as they are forecasting the future trends.” She also stays up to date with fashion and celebrity trends as they are a huge source of inspiration for her clients. Pullyn’s future goals focus on setting up her own salon and she hopes to open one very soon. It is true that Zen Buddhist monks don't know much about spin class or juggling worklife and family, but they know a lot about living long, unstressed lives. One of their secrets: drinking matcha green tea. A metabolism-enhancing, stress-reducing, immune-boosting, cholesterol-lowering powerhouse, it differs from your usual green tea in a number of ways. Although people drank green tea in China more than 1,000 years ago, it became an important part of Japanese culture too. Japanese tea leaves grow in the shade to increase their chlorophyll content. These chlorophyll-rich leaves are then handpicked, steamed, dried and ground into a fine green powder. The whole leaf is being consumed and therefore no nutritional properties of the tea are wasted. The history and cultivation of the tea is interesting, but what matters most to health enthusiasts is its antioxidant content. One cup of matcha green tea has reportedly as many antioxidants as 10 cups of regular tea, and it can also be served up in some definitely above average ways. 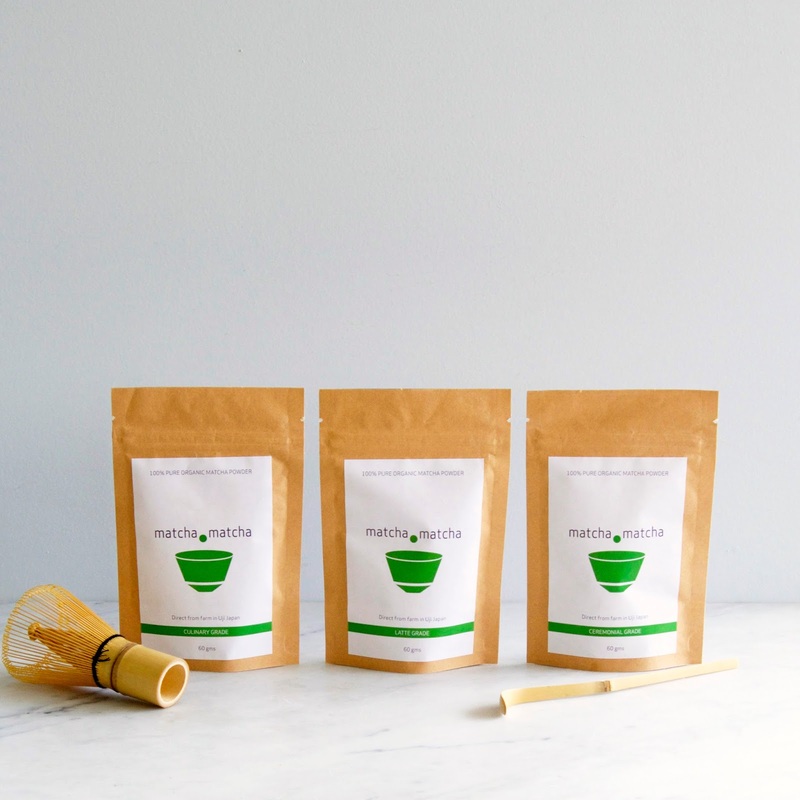 Matcha tea also boasts health benefits like enhanced concentration and focus, higher energy levels, supported immunity and an increase in metabolism. In fact, as it is so rich in vitamins and minerals, people who drink it often have even reported an improvement in their skin, which I am all about. Matcha tea has become increasingly popular and is now a regular menu item amongst the more enlightened cafes out there. Matcha Matcha only has one third of the caffeine that coffee has, and actually delivers you with a long-release energy hit without the jitters – love that! I like it mixed with Carew Kitchen Almond Milk for a creamy latte, and you can add it to smoothies, chia pudding or as an anti-oxidant hit in raw or baked treats! A local supplier of the this little leafy goodness is Matcha Matcha (http://www.matchamatcha.co.nz/) who offer different blends like Matcha Matcha Ceremonial Grade Premium first harvest leaves, for a smooth, delicate, traditional matcha tea that is best enjoyed with water only, and Matcha Matcha Latte Grade, premium first and second harvest leaves that you can whip up into a latte. Matcha Matcha Culinary Grade is made from premium second harvest tea leaves, it is also perfect for those delicious lattes, but can be included in your baking creations and adding to smoothies. They also stock handy prongs and that like, so you can whip up a café style matcha treat at home. Matcha Matcha is available right now at selected health food stores, Farro Fresh, Little Bird Unbakery and many other great cafes. To locate your nearest stockist or café and for further information, visit www.matchamatcha.co.nz - they have some super yummy recipes too. Reading a great interview recently with the seriously wonderful Virginie Courtin-Clarins, I was reminded how much I love the brand, which is the first skincare collection I started using at the age of seventeen. 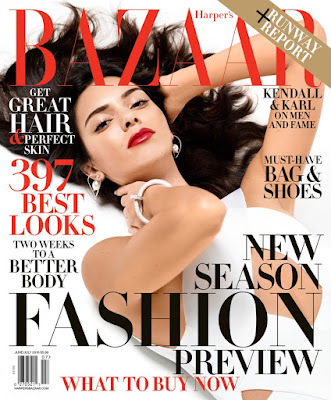 My mother’s side of the family are of French heritage (hence my first name, Hélène-Nicole) and before makeup even became an interest I was intrigued by what good skincare could do. Hopefully years of caring for my skin have paid off, and Clarins are still developing and releasing some seriously innovative products. Their specialty is creating products that cleverly combine makeup with skincare elements, and the reinvented Joli Rouge lipstick is exactly that. 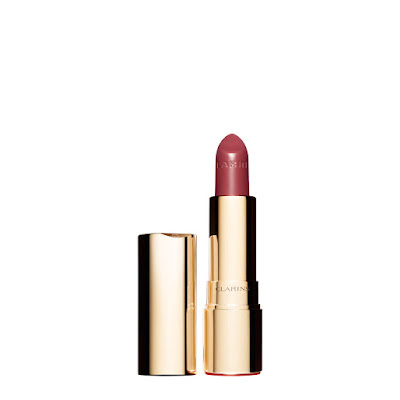 I have been a long time fan of this lipstick, and couldn’t believe it could get any better – but it has. As well as 25 new shades, the big news is that Joli Rouge lipstick has been revamped with a new moisture-rich formula and super luxe, new gold packaging. Every shade of Joli Rouge gives high saturation colour as well as intensely luminous effect, which is even noticeable in neutral shades. The ultra-moisturising, six hour long formula has now been enriched with organic marsh samphire extract and mango oil to promote softer, smoother, fuller-looking lips. 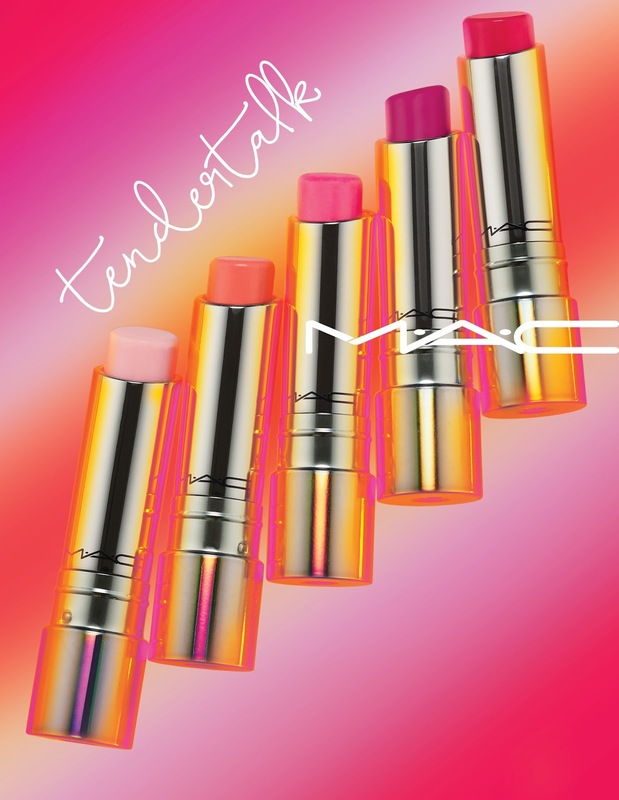 The tip also now has a unique shape that was specifically developed to hug lip contours and deliver generous colour results and precise application the very first swipe. The super ‘true’ colour never runs or fades either, and subtle berry scent is pretty damn addictive.